Dreaming and following your dreams is awesome, but success demands work, effort – and even a measure of true Texas grit. For weeks now, I’ve wanted to get a picture of a house along the beach with the sun setting behind it, but it’s always been too clear, too cloudy, the wrong time of day, or I’ve been too far away. I wanted to capture the image for my sixth Miz Mike Bridge to Nowhere series. Sunpenny Publishing has yet to release the second one, but I’m working ahead to number six. 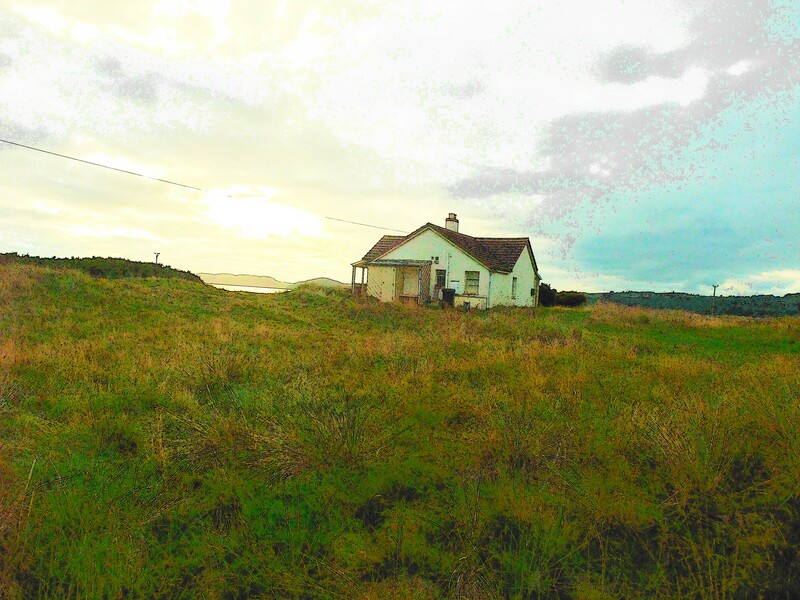 When Miz Mike leaves Texas to live in Scotland, she gets stuck in an isolated, lonely beach house. Even there – somehow – trouble finds her and she stirs up enough mystery, romance and suspense to entertain any reader – with a big dose of humor added. When I went running today, I stuck the camera in my pocket. Since I’m running on a stress fracture, I stuck to the sandy beach. I turned around sooner than I usually do and headed home. I was too tired to run more. My foot was complaining. I hadn’t felt like running in the first place. Then I saw the sky. It was perfect for the picture I wanted…except. Now to serve up the Texas grits – grit. To get to the cabin would mean turning around again and heading back down the beach, then cutting across a hard-packed path to the main road. Not only would it add about half-a-mile to the run I didn’t want to make in the first place, it would result in running on pavement – stress fracture and all. I turned and went for it. Yes, my foot throbbed by the time I got home – but I had the picture. My entire writing career has been painful. Dream the dream, yes! Never give up on the dream. I didn’t, even after receiving 150 rejection slips (along with some checks!) over the span of forty-five years. Becoming known as “Author” Stephanie Parker McKean has taken work, effort – and even true Texas grit at times. Everyone brave enough to dream a dream must also be brave enough to make the journey to reach it. Posted on October 17, 2013 by authorstephanieparkermckean •	This entry was posted in Uncategorized and tagged author, dreams, King Solomon, Miz Mike Bridge to Nowhere, rejection, running, Scotland, stress fracture, Sunpenny Publishing, Texas, writing. Bookmark the permalink.